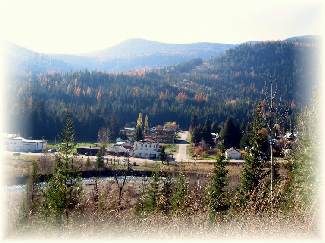 The historic Hotel Ymir is nestled in the beautiful Selkirk Mountains along the Salmo River in the West Kootenay of British Columbia, Canada. 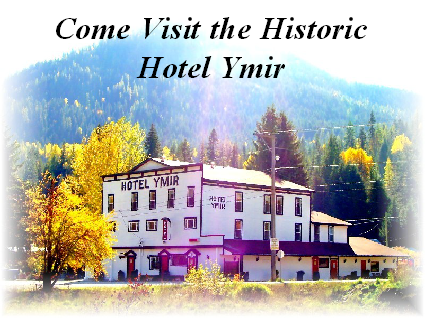 Built in 1896, during the mining boom years of the Salmo River Valley region, the Hotel Ymir is one of the oldest remaining buildings in the region. Located in a natural paradise, guests can indulge in many activities all year round. From golf, hiking, cross country skiing to paragliding and Cat skiing, the West Kootenays offer memorable experiences for everyone. Come and enjoy our peaceful environment and slower pace of life. You’ll be glad you did! 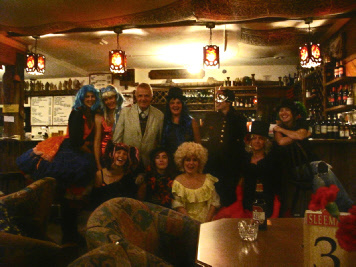 Completely restored in '06, the Hotel Ymir Country Resort now has the family friendly licensed Pau Hana Dining Room, and the warm, comfortable atmosphere of the Cowichan Lounge. 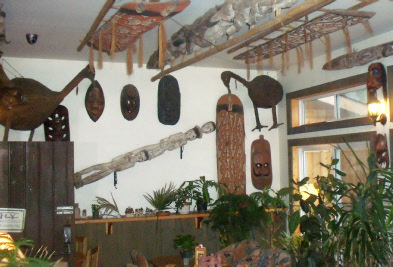 Both offer great food, friendly service and an amazing art collection consisting of carvings and paintings from all over the world. The hotel Ymir has a licensed pub with an excellent kitchen. The hotel can accommodate meetings, reunions, private parties and art seminars upon request.